Wendy is recognized for her exceptional track record in guiding leaders from around the globe on all aspects of career transition. With her expert counsel, they achieve thoughtful, desired outcomes with increased confidence, impact, and success. She has extensive experience coaching executives from a broad range of industries and fields. Known for asking the right questions, Wendy has an insightful, results-oriented approach that quickly engages her clients while enhancing their brand and effectiveness. 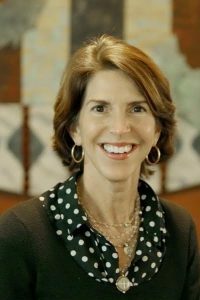 In addition to founding her own coaching practice in 2004, Wendy was a Senior Career Consultant for a prominent executive career management firm. As a trusted advisor for Keystone Associates, she created customized strategies for mid- to senior-level executives to explore new options, try fresh perspectives, and advance their careers. She has held leadership roles at several private colleges including Babson and Wellesley and for an international staffing firm where she successfully built a start up HR consulting practice by cultivating and maintaining effective partnerships with hundreds of HR professionals. Her clients come from companies as diverse as Fortune 500s, start-ups, professional services firms, and non-profit organizations. Wendy’s clients have gone on to start their own ventures, become recognized leaders in their fields, and serve on boards. They range from entrepreneurs to C-level executives to Wall Street financiers to leaders pursuing philanthropic and NGO opportunities. Wendy holds a Master of Education in Counseling from Northeastern University and a Bachelor’s degree from University of Vermont. She completed her coach training in Career and Life Coaching with The Coaches Training Institute (CTI). To share her expertise more broadly, Wendy designs and delivers customized career management and leadership workshops suitable for teams and small groups. Wendy combines strong coaching, organizational and analytical skills with a warm, engaging personality to achieve an effective, client-specific approach to career planning and the employment search. Her advice and direction were invaluable.